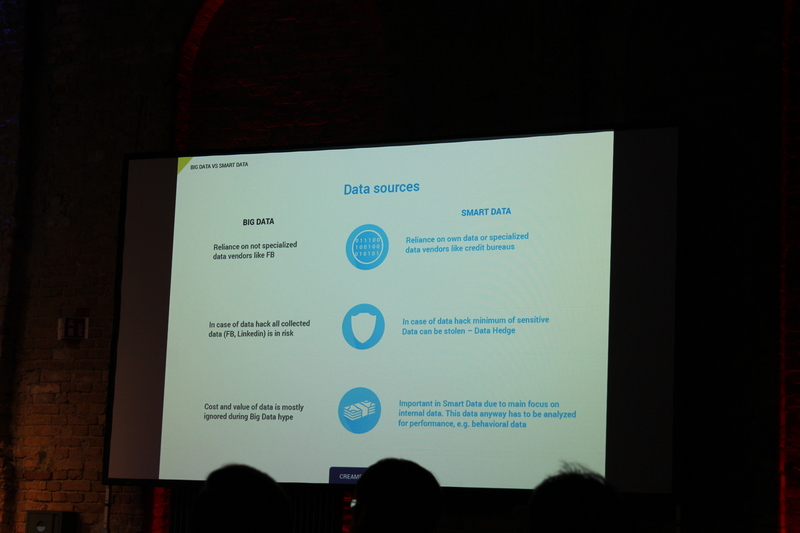 Berlin, October 28th, Data Natives day 2. It was about tech trends, including numerous topics: Deep learning, Source code abstracts, analyzing and searching unstructured Medical Data, smart-data based lending, intelligent hiring, and more. Klaas Bollhoefer, Chief Data scientist at *um, tackled the gap between several departments in a traditional company and took the example of “operational gap” study, made for one of *um clients. He demonstrated how *um approached Metro Group issue: what does Metro need to do to become a leading analytics-driven omni-channel retailer. 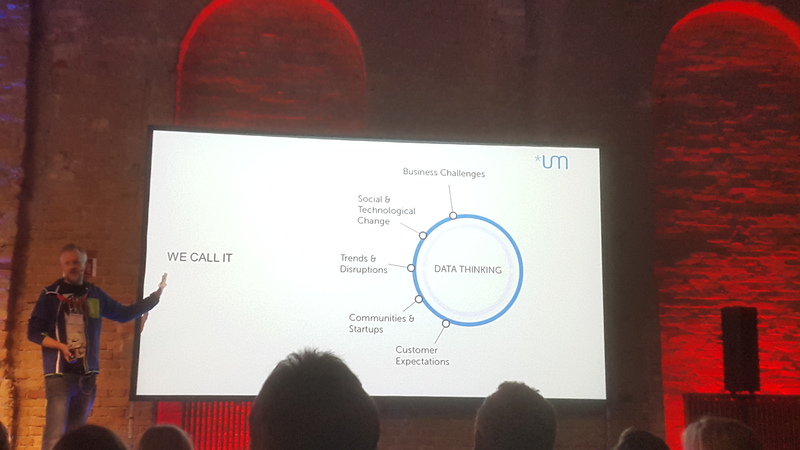 Among that, Klaas stated that “every company requires unique capabilities” in order to reach Data Maturity level and achieve digital transformation. For that, a bottom up approach should be done for analytics in order to explore the framing of any company. That means taking care of traditions and use that to build a new feature. It’s a step-by-step Data thinking model based on capabilities, insights & recommended actions derived from what it really needs to think. Moving to finance world, where massive data collection is obviously taking the main part of it, what’s all the collected data from clients is used for? What’s the benefit for the client?! Here came, Patrick Koeck, COO of CreamFinance presentation about “Smart Data-based lending”. Patrick focused on the difference that makes the use of Big Data VS Smart Data. He showcased how smart assessment of data by contextualizing it conducts to a better client experience and a digital transformation. Based on consistency and higher stability with less noisy informations and more transparent models, smart data helps customer segmentation and decreases the stealing risk of sensitive data. From data collection and usage comes the struggle to create a value! 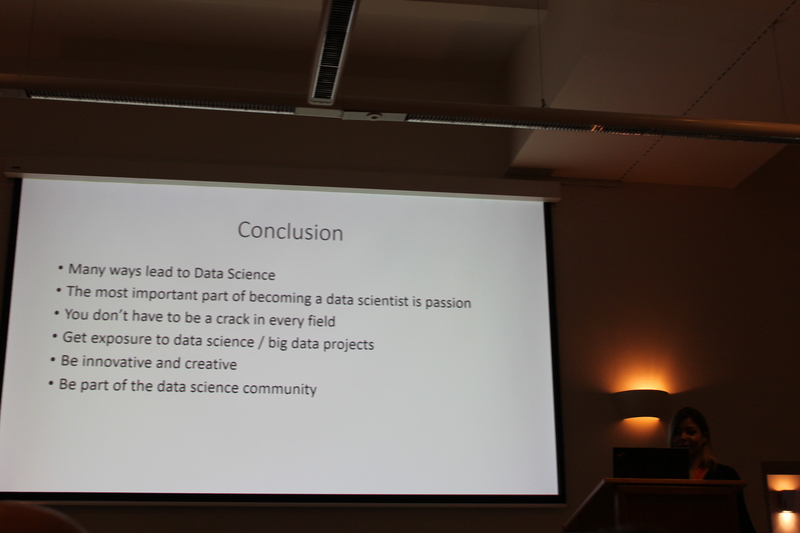 Martin Loetzsch, CDO of project A ventures, invoked the necessity of creating value as a data scientist in early stage startups by making the link between tech team and business team. He demonstrated the low values creation such as being unclear and for example just ask developers to do something great without taking care of their needs. 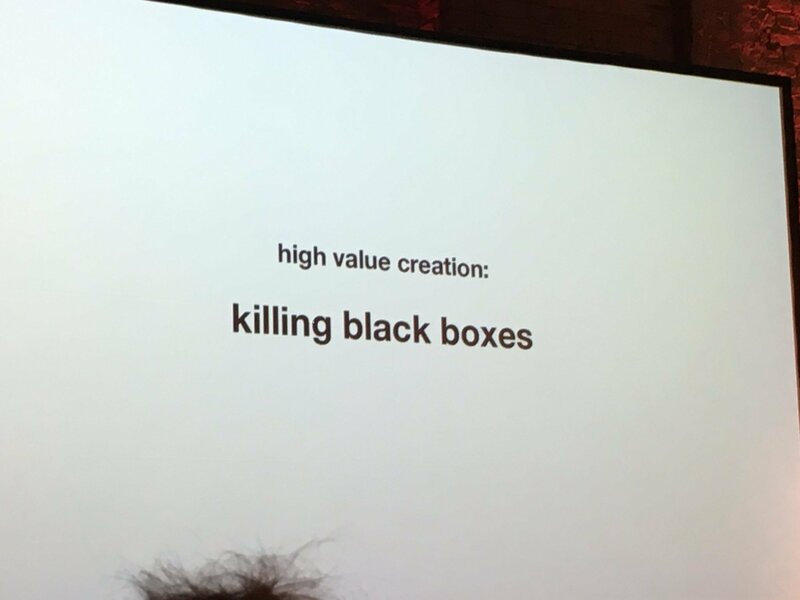 Thus there is a need to killing black boxes in order to achieve high value creation because people don’t trust black boxes. Then, Lisa Winter, Sr. Analyst Executive Compensation and Nicolas Rossetti, Risk analyst at Willis Towers Watson, presented to us how to build the bridge between Skillset and use case to become a data scientist. This involves: subject matter expertise, the statistics extension to subject matter expertise and the technology extension to statistics. They used the example of how to build a personalized health insurance pricing and offering as an illustration. 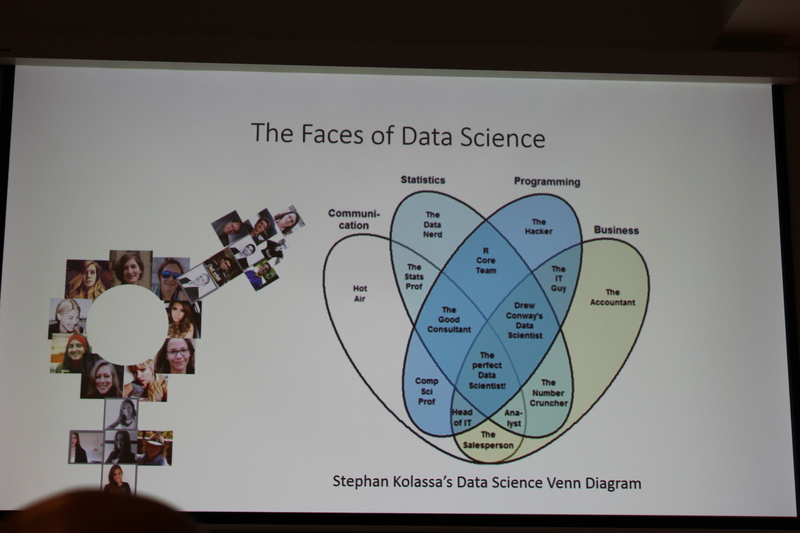 Besides, Lisa took the initiative to present to us her “Faces of data science series” or real life data scientists by presenting a list of women in data science as well as men. By the way, I was happy to be mentioned in her list! 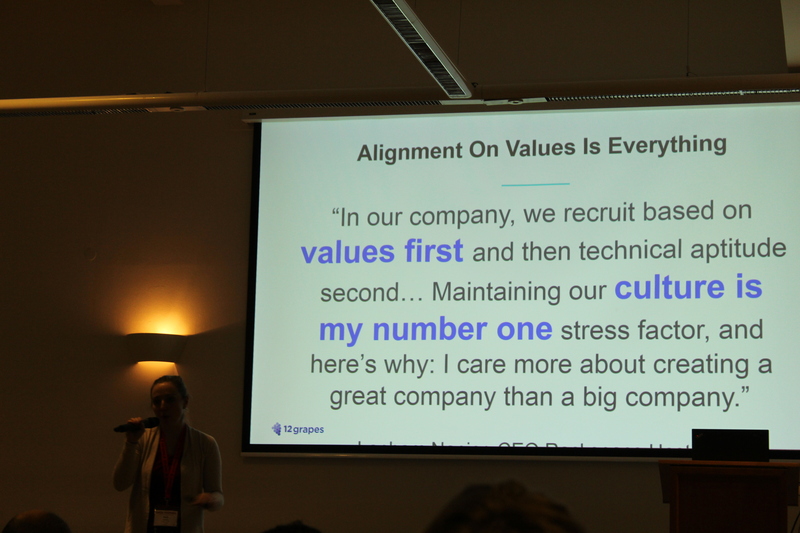 Well, the hiring process can also be benefiting from AI and Emotional Analytics, this is what Darja Gutnick, Founder and CEO of 12 Grapes, explained to us by stating 5 principles of intelligent hiring, among them goal commitment, accountability and the focus on results. She affirmed that “Alignment on values is everything” and gave the steps of how to predict the success of new hires through measuring skill complementarity and value alignment, according to 12 Grapes model. Thus, achieving “good hires”. This is about talks, and do you know? With Data Natives, there is also surprises! The conference weclomed on stage Anish Mohammed, Advisory Board Member at Blockchain Advisory Group, for a cyber security talk! Anish explained the link between smart contracts and cyber security. 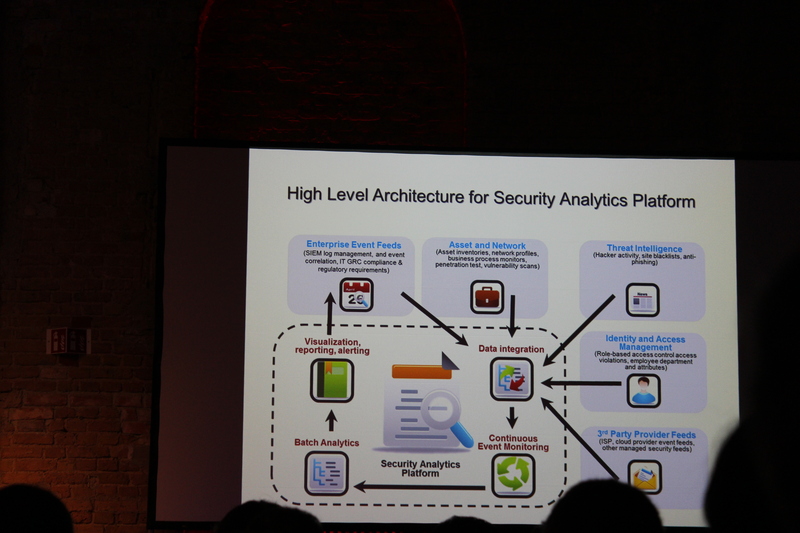 He showcased the Advanced Persistant Threat life cycle, consisting of: incursion, discovery, capture and exfiltration. 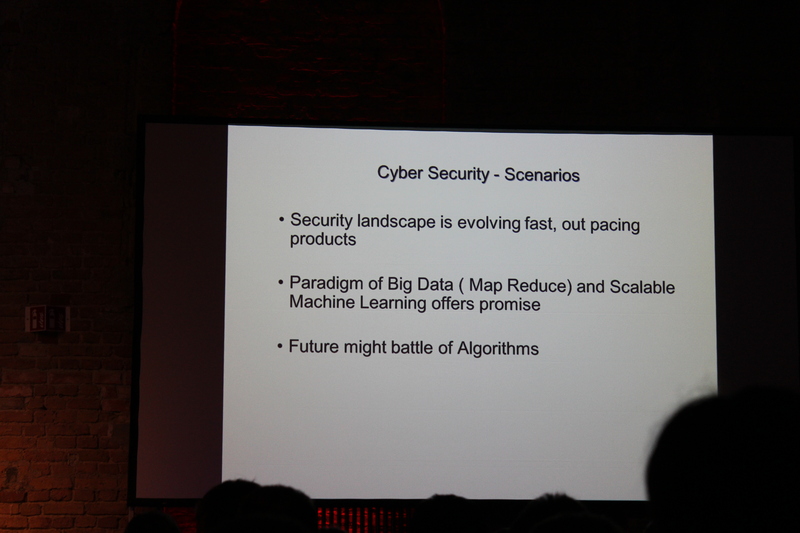 Also, he presented security analytics evolution and cyber security future scenarios. 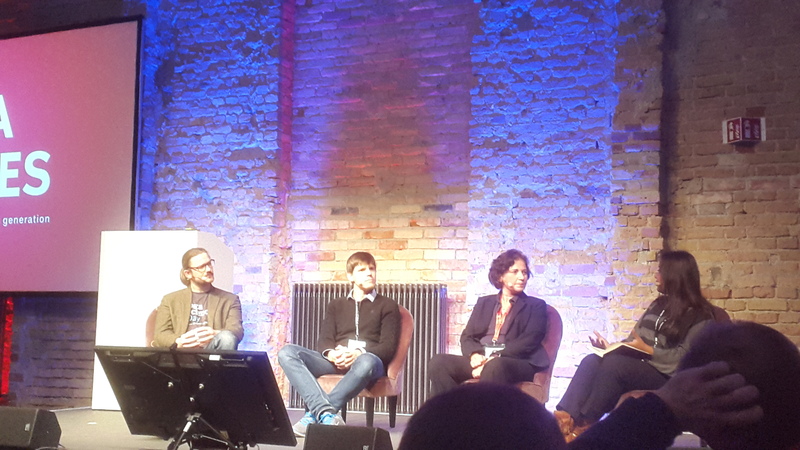 I couldn’t finish the blog without mentioning the “Big Data in FinTech Panel“! It was an exceptional panel where the evolution of FinTech and its Horizons were discussed with the presence of Dr.Stephan Wachenfeld, MD at Savedo, Christian Rebernik, CTO at N26, Jacqueline Faridani, Associate Director of Quantitative Analytics & Credit Risk at VendorMach as panelists and Devie Mohan, CEO at Burnmark as moderator. During the panel, Stephan affirmed that banking is not done anymore by bankers, Christian harnessed the fact that it’s about creating value and using data for the unique benefit of the customer! Number26 is a concrete illustration of that. Well, it’s not all, there is a lot in that day! It was incredible! I had the pleasure to meet Evelyn Münster, a data visualization addict, who encouraged me to follow my dream and keep it up. Otherwise, I was honored to know at the end of the event Elena Poughia, the founder of data natives and Warren Channel, the operations and community manager at Dataconomy Media as well as Maya Lumbroso, the Business Development manager at Dataconomy Media. I would like to thank all the organizers and volunteers. 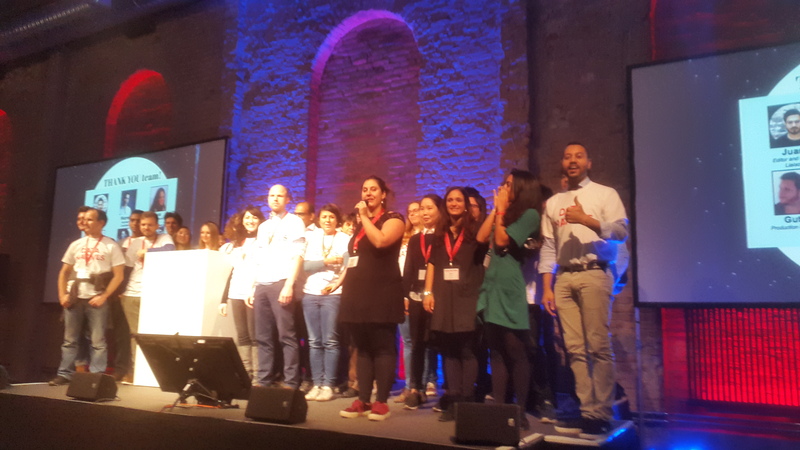 I will be pleased to join their team for Data Natives Berlin 2017, which will be held on 23th and 24th of November. See you soon my dear readers! 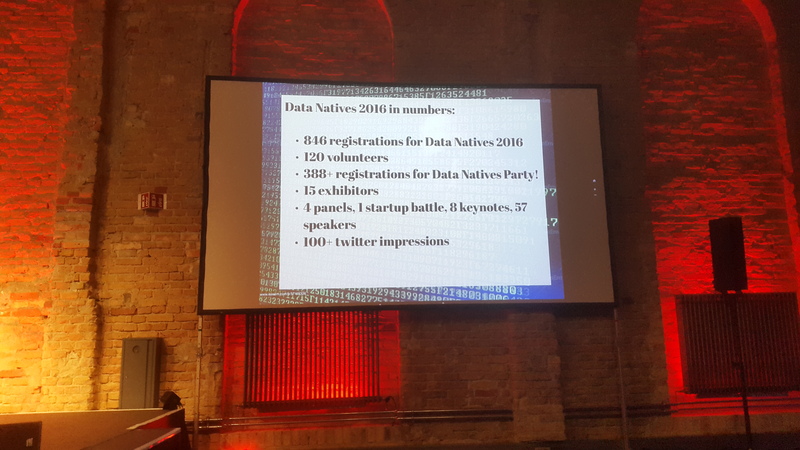 Hope you enjoyed my overview of Day 1 and Day 2 of Data Natives 2016, Berlin-Germany. Finally excited to announce a scope! I’m eager to attend the next conference dedicated for big data developers for which Luis Sánchez, Digital Marketing Manager at valo.io invited me! So, my next tech stop will be on the beach in Malaga, Spain, to attend the event hosted by valo.io. I’m very thankful for Luis! It was nice to meet him. See you there! Note: Data natives day one overview: here. Visit my twitter account @MestiriSarah for more feedback on Data Natives 2016.